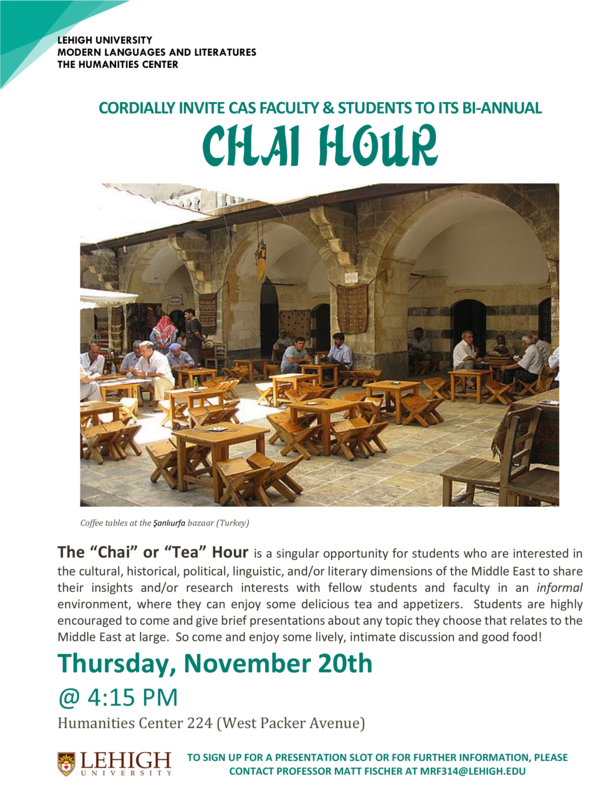 The “Chai” or “Tea” Hour is a singular opportunity for students who are interested in the cultural, historical, political, linguistic, and/or literary dimensions of the Middle East to share their insights and/or research interests with fellow students and faculty in an informal environment, where they can enjoy some delicious tea and appetizers. Students are highly encouraged to come and give brief presentations about any topic they choose that relates to the Middle East at large. So come and enjoy some lively, intimate discussion and good food.